I L-O-V-E Fall! 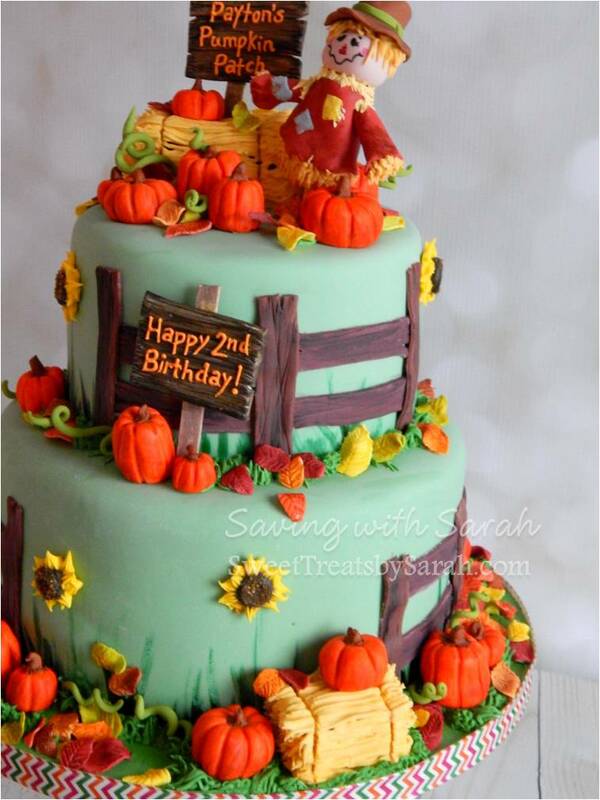 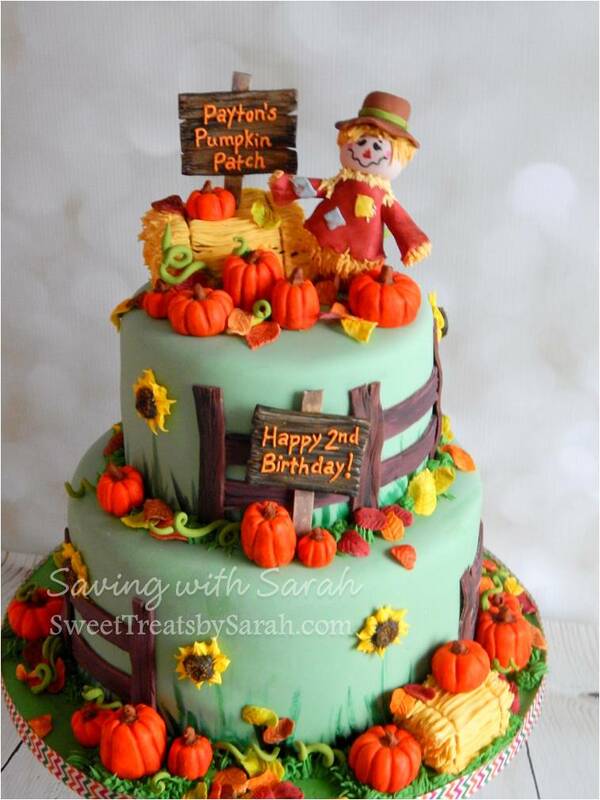 Oh how I wish my kids had Autumn birthdays, but alas, we are part of the Winter birthday club. 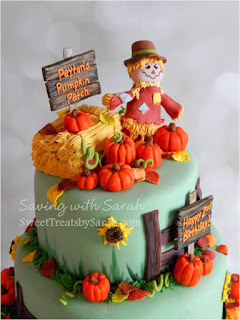 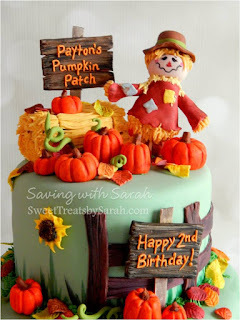 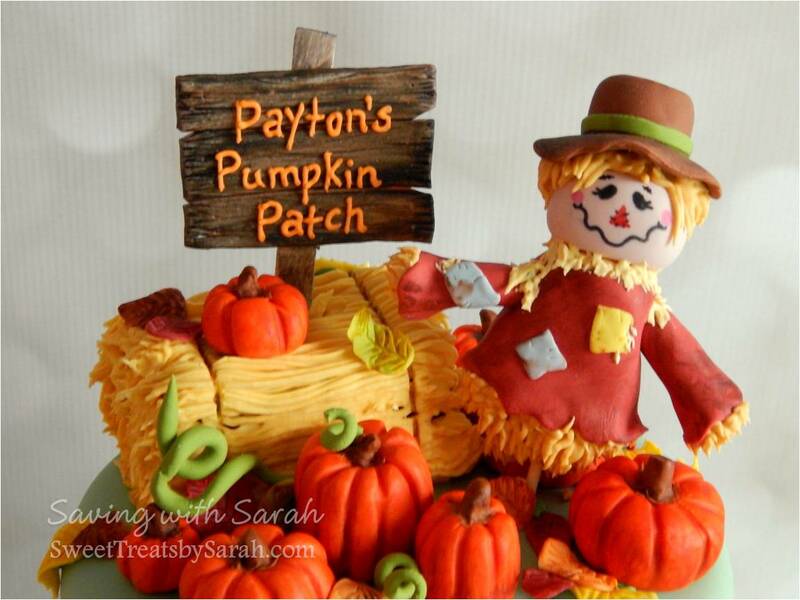 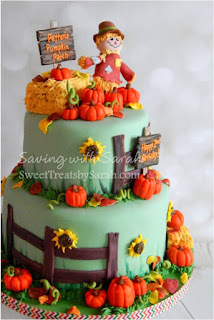 This pumpkin patch is my favorite for 2015! 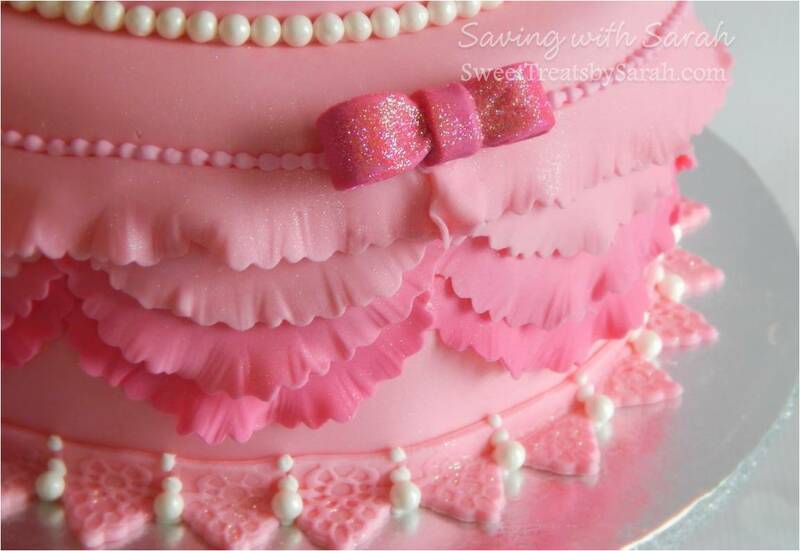 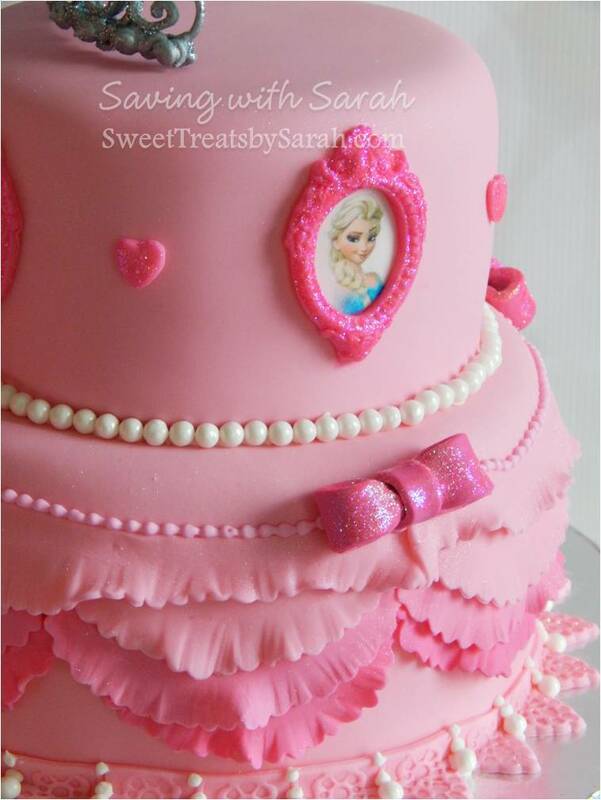 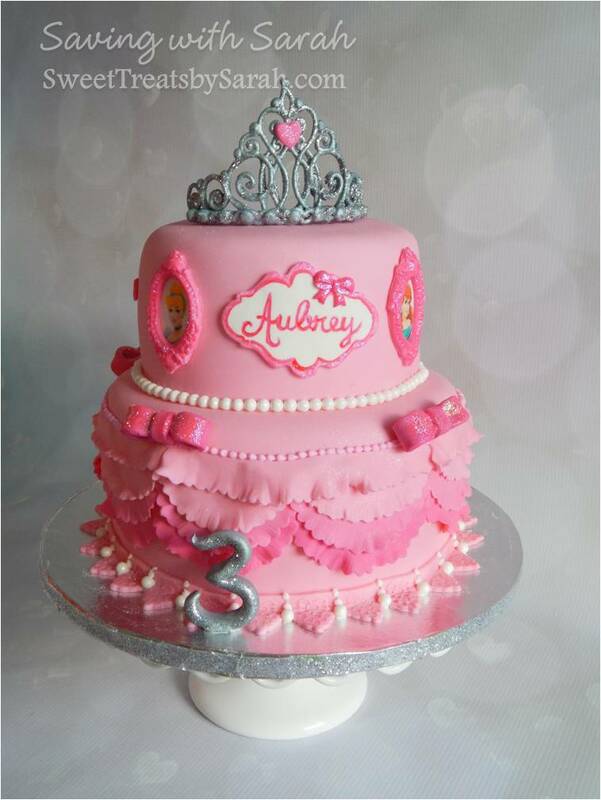 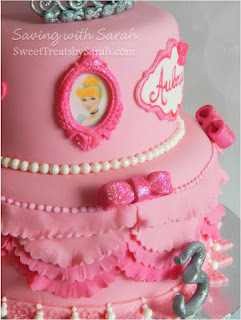 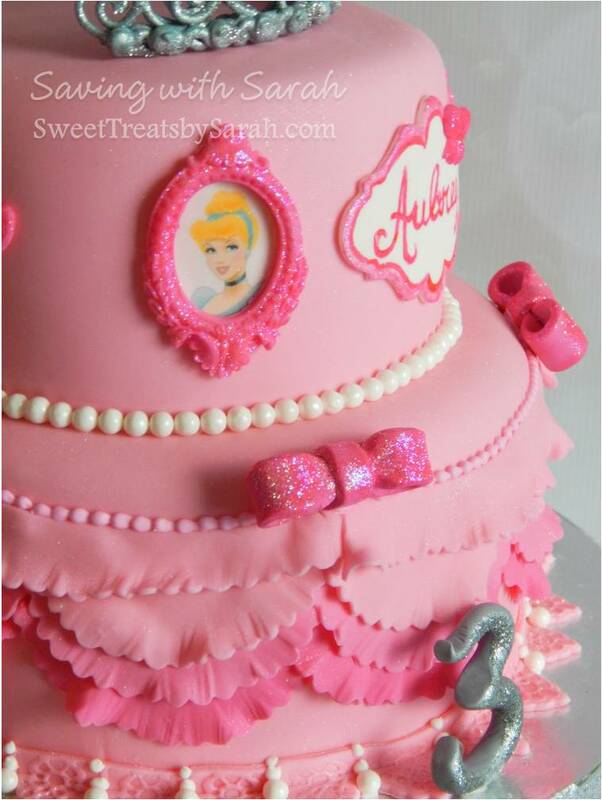 On the pink side, we have a frilly princess cake featuring a few Disney Princesses and a royal icing tiara. Both cakes were covered in marshmallow fondant. 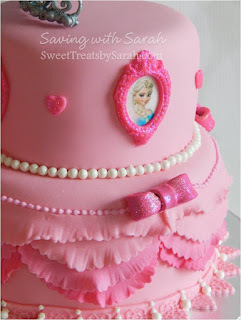 Yes, that tiara is made from royal icing. 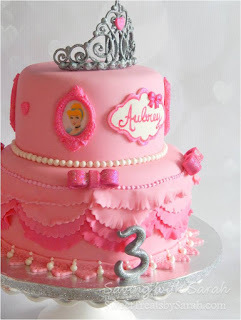 It's really much easier than it looks - print your tiara pattern, affix onto a can the appropriate size, cover in wax paper and a thin coating of crisco and pipe away! 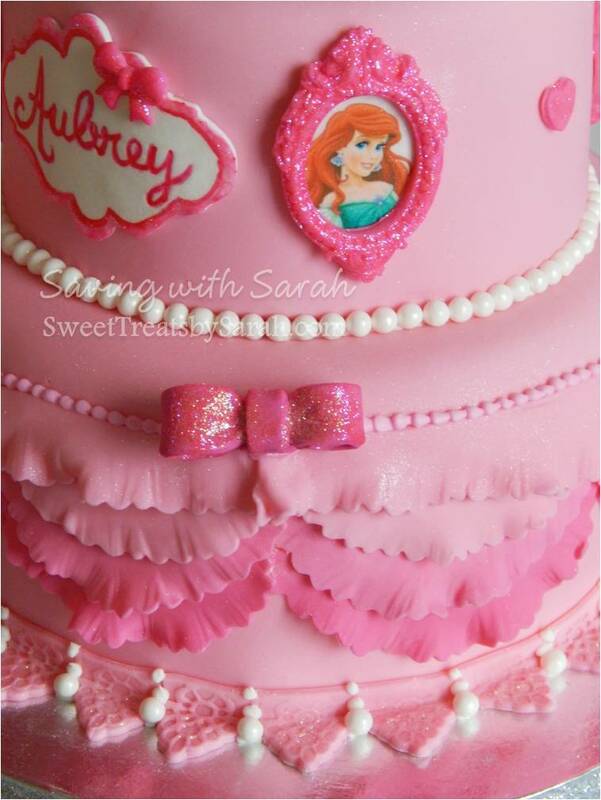 Use a stiff royal icing and it will be dry within a few hours, but I would recommend waiting overnight. 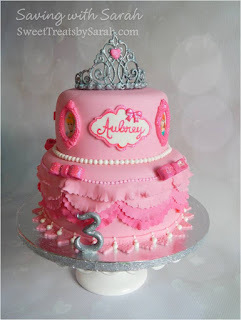 For my silver tiara I sprayed it with an edible metallic silver and added some disco dust. The little pumpkins are molded from fondant and painted with food coloring to make the orange pop! 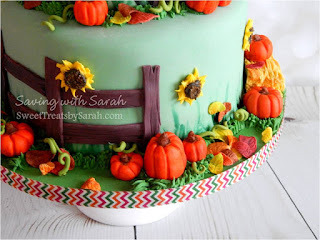 Since I don't have a super small leaf cutter, I used a very small tear drop cutter, ruffled the edges and then stamped the leaves with the larger leaf cutter.